Recipes, cooking techniques and food videos about lasagna. Jeffrey tries an extreme 120-sheet lasagna that takes 45 minutes to layer. Nadia G, David Rocco and Roger Mooking heat things up in a lasagna battle. 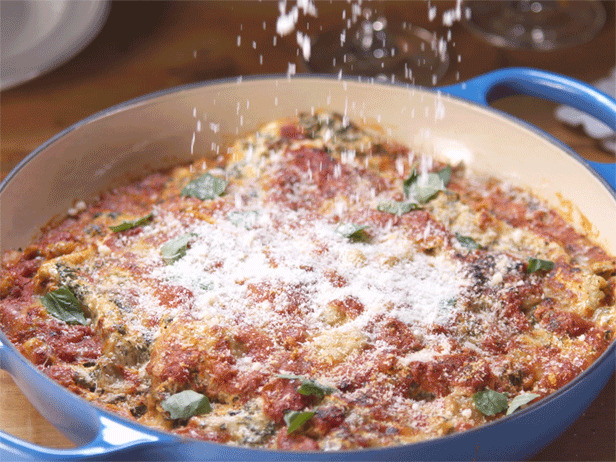 Giada's on a roll with this spinach-and-prosciutto-filled take on lasagna. Love lasagna? Watch how to make it in 1 minute. Bobby's lasagna is full of hearty mushrooms, three cheeses and lean meat. This French-Mexican fusion lasagna features eggplant instead of pasta. Justine shows her daughter how to make the family's favorite Spicy Lasagna. Tofu does double duty as sausage and ricotta in this vegan lasagna. Open-faced lasagna gets its brick-oven flavor from smoked paprika. Rachael's layerless Lazy Lasagna is so easy, it practically makes itself. 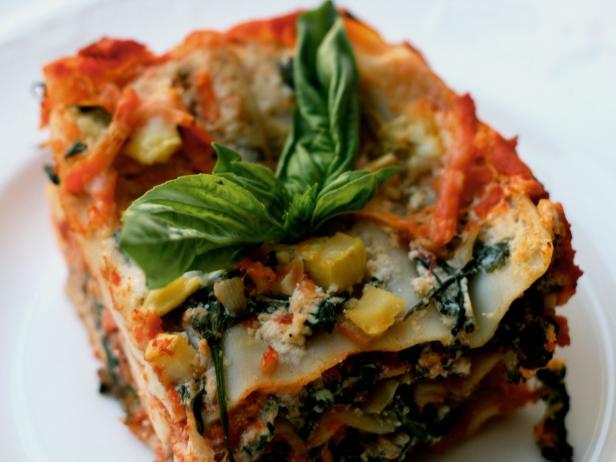 Jalapeno bechamel adds an exotic touch to squash-rapini vegetable lasagna. 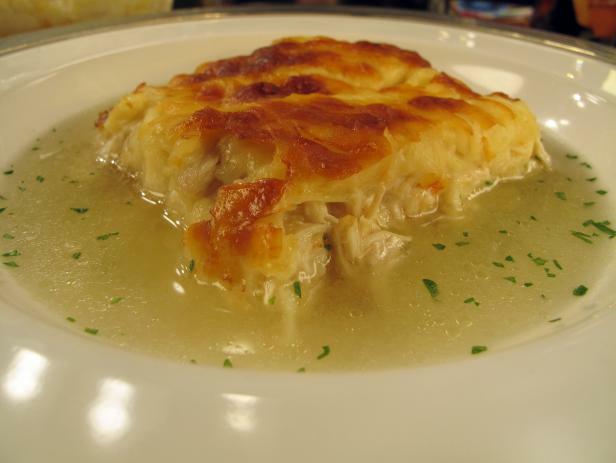 This no-bake this lobster lasagna is built to order, right on the plate.